Excessive amounts of mold and certain types of mold may present health concerns. It is essential for the health of you and your family, as well as the protection of your property, to address the issue and arrange for professionals to conduct mold removal and mold remediation as soon as the presence of mold is identified. Water damages can cause mold growth in your home or business, therefore it is important to have your water damage taken care of promptly and professionally. If you have suffered a recent water damage loss or suspect mold growth in your property, do not hesitate to give us a call. 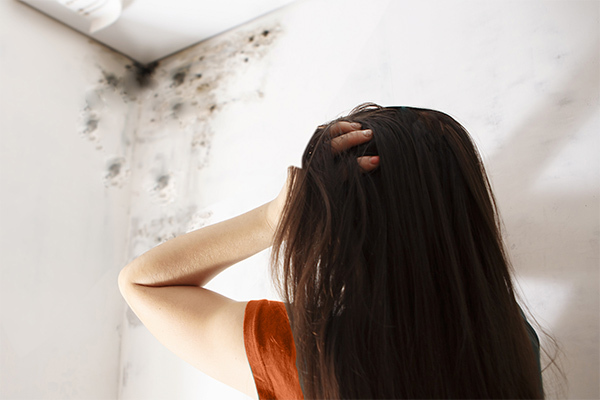 Mold growth occurs naturally, but when it begins to grow inside your home or business it is often the result of a water leak, high humidity, or recent water damage. Because mold requires moisture to grow, it can be one of the first indications that there may also be water damage occurring in your property. If you see or suspect mold growth in your property, you should have a professional check for mold growth and any signs of water damage. If mold is detected, we can advise you about what’s causing it and create a plan for the safe and thorough removal of the mold. Mold is a common allergen and is known to cause various allergic symptoms for those sensitive to mold. Some types of mold may cause more severe reactions, but all types of mold should be considered hazardous. Mold growth is not always visible, so it’s important to enlist the help of a mold remediation professional who can locate the source of the mold and provide a safe remediation plan to remove the mold from your property. If you believe you may have mold in your home or business, give us a call today.